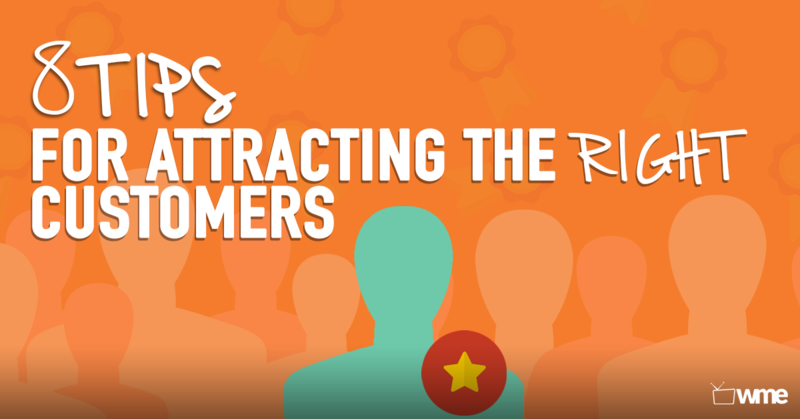 Are You Attracting The Right Customers To Your Business? Untargeted marketing = tiny profits! Instead, your marketing should be highly targeted and focused on attracting the ideal prospect into your world. That way, all your hard work has a better return for your efforts because that targeted audience is more likely to remain loyal. Having a lead-generation website is a great starting point for your business because they’re a proven method of attracting the right type of customers to your business. By giving away valuable content in exchange for an email address, you’re building your most valuable asset – your list. So ultimately you’re giving away something of value for free in exchange for an email address. This is called a “Lead Magnet” and is vital for your website! This is how to start generating leads and nurturing your prospects by staying top of mind through email communication. If done correctly, you’ll be able to continue marketing to them and eventually turn your prospects into customers. This process will enable you to keep a good supply of customers coming in through your doors! The good news is that WordPress allows you to effortlessly create lead-generating websites with thousands of different themes and styles to choose from and they’re completely customizable. If you already have a lead generating website, then great! But, to help you even more and to make sure you’re doing it right, just follow my tips below to make sure you’re getting the most from your site. A word of caution though – a lead-generation website is useless without the right kind of giveaway offer – also known as your Lead Magnet . But here’s the thing, most businesses get their Lead Magnet totally wrong. They think a newsletter counts as a Lead Magnet, or they produce low quality content that repels rather than attracts the right prospect. 2. Make It Easy: Include step-by-step instructions, use videos, create checklists, provide a diagnostic tool, or anything else that would make it easy for your prospect to want to buy from you. 3. Provide Value: Don’t make your content about the pitch, instead, focus on providing value and educating with a purpose in mind. And again, that purpose is to solve at least a part of your prospects’ biggest problem. 4. Seed Your Content: Make references to your full value of products or services throughout your micro-content. What you’re providing them as a quick solution is just that, quick. Suggest that there is so much more that you have to offer just like this piece of content that can be the complete solution to the problem your prospect wants solving. 5. Pitch Gently: The pitch should be an afterthought. I suggest you add a list of recommendations at the end of a report or doing soft pitches through your follow up marketing rather than leaving a sour taste in their mouth by hitting them right at the end. 6. Give More: Continue to share tips and educate prospects in your follow up marketing before attempting to do a hard-pitch. It takes a number of free content and lead magnets to win someone over. Otherwise, you may find people opting out of your list faster than you can blink! 7. Be Compelling: Give your Lead Magnet a compelling title that would make a potential prospect WANT to sign up for your content. Using titles such as ‘7 Ways To Get Your Baby Sleeping through The Night’ is a lot more compelling than ‘Baby Sleeping Tips’. Be clear and speak to a specific problem (Sleeping through the night) rather than vague and vanilla. 8. Be Irresistible: Ensure your Lead Magnet really is irresistible by offering discounts, vouchers, special offers, free consultations, free shipping etc. Make it easy for your prospect to say yes to you and ridiculous for them not to. Hopefully these basic guidelines will get you well on your way to creating useful content that really helps turn prospects into customers. Which of the 8 tips for attracting the right customers to your business do you hope to begin implementing today? Have you found a really great lead magnet that just plain works? We’d love to hear some of your best tactics in the comments section below! If you liked this simple article, then you’ve got to check out our video tutorials for a step-by-step process that guides you through effortlessly building a website in no time. You’ll learn this and other online marketing strategies that you can then apply to your business to really see results! Check out our latest video tutorials on YouTube and join in on our community on Facebook.